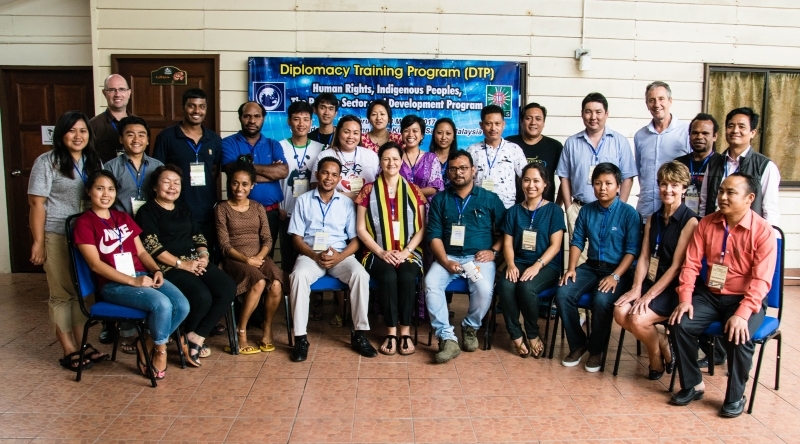 DTP and JOAS collaborated with OHCR Regional Office and OHCHR Civil Society Unit on delivering a regional capacity building program on Human Rights, Indigenous peoples, the Private Sector and Development. Twenty-four participants, mainly from Indigenous communities in Indonesia, India, Malaysia, Nepal, Myanmar, Cambodia and Bangladesh travelled to Sabah in Malaysia to learn, share knowledge and experience. Sabah has witnessed the dramatic impacts of deforestation, dams and plantations. The participants learnt about relevant human rights standards, and UN human rights monitoring and accountability mechanisms that can be used to protect and promote human rights in the context of rapid economic development. The intersection of the environment and human rights, the preservation of Indigenous languages and traditional knowledge, the diminishing space for civil society and militarization have been among the issues raised. The program was funded with support from Oxfam Australia and the Australian government and DTP’s individual supporters.